grandma's cookie jar: Help Your Grandchildren Give So Another Child Receives a Christmas Gift! Help Your Grandchildren Give So Another Child Receives a Christmas Gift! Yesterday we took Josiah shopping to buy the gifts for his Christmas for an Orphan box . . . he wanted to fill a second box for his baby brother Caleb to send to another boy, so of course we agreed! Josiah picked out the toothbrush, toothpaste, bandaids, crayons, candy and of course HotWheel cars for his box! I have a few additional toys for him to include and today he will pack his boxes so Poppa can mail them tomorrow! 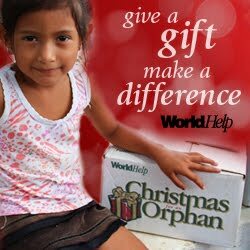 Consider involving your grandchildren in filling Christmas for an Orphan boxes . . . take them shopping for the things to fill their boxes and involve them in praying for the children who receive their boxes! Christmas is about giving . . . Jesus giving us real life and His amazing love and it's about us giving to others!